Not everyone is fortunate enough to be in the position where paying for plastic surgery will not require any surgery finance options. We believe that everyone should be able to get the procedure they require, whatever the reason, so have teamed up with some well-respected specialists to bring options for you to consider. Auckland Plastic Surgical Centre will, where possible give an accurate an estimation as possible but, as with all surgery there may be unforeseen circumstances that call for additional resources, this can lead to a higher cost. Normal costs will include surgical facility, anaesthesia, medical tests, prescriptions and garments as well as the cost for the professionals involved with your procedure. As a rule, cosmetic plastic surgery is considered “elective surgery” and is not covered by most insurance plans. Some operations that have a significant medical benefit (ex: breast reduction surgery, if the weight of your breasts causes pain or interferes with normal daily activities) may be considered as reconstructive surgery rather than cosmetic. With this in mind, it’s always a good idea to consult with a medical professional who may recommend that you contact your insurance company before surgery to determine if the cover is possible. 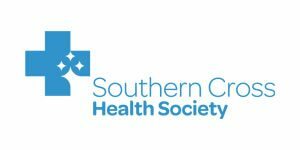 As a Southern Cross Affiliated Provider, we have provided a little more information and links to help sections on their website. Everyone wants to look their best getting a little help from cosmetic surgery is certainly an option. Although cosmetic surgery provides a valuable service in correcting genetic defects or improving self-confidence through body sculpting the costs of having your procedure can be high. Cosmetic surgery financing can be the answer to making surgery more reachable, and to looking and feeling great again. 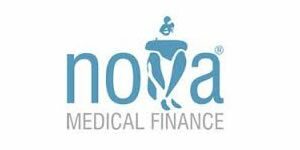 Auckland Plastic Surgery Centre would like to bring the services of Nova Medical Finance to your attention. Finance is now available across a range of specialities including; cosmetic/plastic surgery and Nova Medical Finance offer some of the lowest personal loan rates available. Everyone in New Zealand has 24-hour, seven-day-a-week, no-fault comprehensive injury cover through ACC and Auckland Plastic Surgery Centre will work with you to make a claim for reconstructive surgery if it falls into our area of expertise.